UPDATES at end of post. 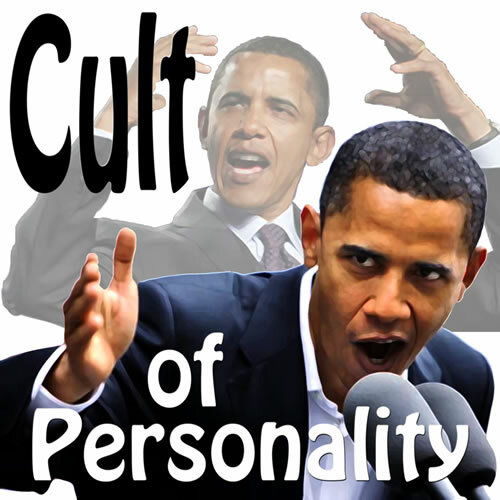 How far are today's media willing to go to advance President Obama's cult of personality? What happened on CNN Monday has to make one wonder, for some producer at this cable network thought it would be cute to bring school kids on the set to sing an astonishingly propaganda-laden song about ObamaCare. Maybe most disgraceful, it seems quite unlikely any of these kids understood the lyrics they were singing. Time to go into work again. Whoa, here we go again. Agitated cause we've waited for a long time. And the prices are always raising up. But they can't seem to find a way. Will a marketplace treat us fair? It's a problem in the USA. Health coverage in America now. But the government doesn't know how. I got my bill and I'm thinking NO way. He's hurt and can't get covered. Capricious coverage is killing me. That's when a doctor said, "You'll have to go." But Joe Wilson yelled, "You lie!" If this is what our media are willing to do to advance the current president's agenda, there's nothing they WON'T do! After all, this was CNN using children to push a message. Plain and simple. As for those kids, you think any of them understands what "capricious coverage" means? Or "deductibles?" You think they know who Joe Wilson is? The likely answers are No, No, and No...which means that CNN knowingly used children to advance legislation that most polls indicate the majority of Americans are against. Shocking and disturbing to say the least. *****Update: This was originally reported as having occurred on Wednesday. The Ron Clark Academy singers appeared on Monday's CNN Newsroom. KYRA PHILLIPS, CNN: You got too famous, right? Really, Willie is just one of many of these incredibly bright students that join us again today. And Osei and Kennedy, we talked last time, and I want you to give our viewers an example of how you guys debate in class and how you've turned those debates into music. So, for example, let's say I'm the teacher, I just had you step up in front of the class, and I said, OK, let's talk health care, let's talk private versus public option. Give me an idea of how you two would debate that in class. KENNEDY GUEST-PRITCHETT, RON CLARK ACADEMY: OK.
Well, there are 47 million people out there without health care now. And so they're trying to come up with a private -- or should they have a private or a public option? Under the public option, where everybody is covered and everybody gets health care, but the quality may go down. But if you have a private option, as we do now, which is kind of the problem, where not everybody's covered and the people who are covered are paying more for the people when they go to the hospital in the emergency room. They pay more for those people when they go. PHILLIPS: Now I see Osei wanting to step in there. You would come back and say what to Kennedy? OSEI AVRIL, RON CLARK ACADEMY: Well, I personally don't support a private/public health care plan. I support a marketplace health care plan with the nonprofits supported by the government, whereas the community can run their own health care and the health care businesses will be run by the people, and not a one-size-fits-all type health care plan. So, I think that would be the best for our economy right now, with people making the decisions. PHILLIPS: What do you think, Willie? How'd they do? THORNTON: I feel personally that we should stay with our current health care system, which is a private plan, because if we did go to the Obama administration's private and public plan, then not only would the people who are more wealthy, they would not only have to pay for their insurance plan, but they'll also have to pay for someone else's insurance, and then that's just making them have to spend more money and lay off more people, and therefore reducing our economy right now. We're in a deep recession right now. PHILLIPS: Oh, my gosh. Once again, you guys amaze me. Fascinating. So two of the three kids she interviewed DON'T support ObamaCare...yet they're singing about it? Maybe at that point Phillips should have asked for a show of hands as to how many present agreed with the lyrics they were singing. Or would that have been too much like journalism?